Okay, I will admit this blog entry has been a struggle. It started with my thought that it was about time to write about Shirley, my mother, as it was HER struggle that inspired me to pursue the Kilimanjaro climb and raise funds to support lung health. However, like most mothers and daughters, “we” had issues and unfortunately due to her health and my distance (living in the eastern Arctic), we were never able to resolve them or have “closure” as some would say. I have struggled over this blog entry for several days as I think it is important that others know the incredibly strong and spirited woman that Shirley was. Yet there is pain too…..and much pain still in seeing her struggle too. This morning I was still pondering this when I entered my small home gym to begin yet another training session for the Kili climb. As I started my iPod, it is amazing that of the 827 songs, the one that started playing was “Here Comes the Sun”. It is a song that I’ve always associated with my mother and it was the song that my sister so wisely chose to play as everyone was leaving our mother’s memorial service. 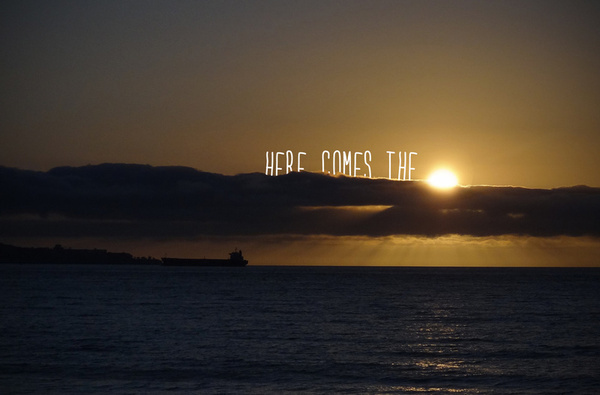 So here I am……writing this blog entry…..with “Here Comes The Sun” on “repeat” as I walk on the treadmill with tears in my eyes….but finally feeling that I can pay appropriate respect to Shirley, my mother. It’s ironic – or perhaps just comforting – that I now live on the Gulf Island that was once the summer playground where my mother, sister and I spent so much time. Shirley was a striking blond beauty and always arrived and departed in style. I remember her driving down dirt roads on Gabriola in the open white convertible, tunes playing, leaving dust and turned heads in her wake. There might even be a wolf-whistle by some admirer or two in those days. Life was always an adventure with Shirley. She and my older sister were often mistaken for sisters with their similarity in looks, grace and stature. I was the buck toothed, darker haired, chubby – and somewhat annoying – kid in the back seat that did not share their model looks or style. “Mother” always had such great spirit….and was a true fighter. A very young mom who faced so many adversities and yet soldiered on. Thrown into a late career with little formal education but lots of savvy, she set her sights on being a top realtor in West Vancouver with a preferred focus on waterfront properties. It was not an easy road for which she had no financial backing. Yet, with drive and fortitude, she achieved a recognized standing… until the great strides were overcome by illness and too much stress. Seeing a loved one struggle with a prolonged illness that robs her vitality is particularly cruel. We all feel that there must be something we can do, has to be something we can do… especially when the fight and the will is so strong. Mother volunteered for experimental treatments but in the end, her age prevented further intervention. Once her hope was lost, the struggle proved too difficult…..
At one time, I continued to phone her old number just to hear her voice on the outgoing message. It was a voice that I thought had been silenced much earlier when she was hospitalized for over 12 weeks in ICU and on a ventilator due to the pace of COPD and after repeated hospitalizations. Astounding everyone, though, she came back from that, learning how to breathe on her own again and enduring several weeks of rehab in order to walk again. Hearing her voice once more was amazing but, even at rest, it was clearly an effort for her to talk. It was too late to “talk it out” when the goal was simply on getting through the day. The hardest burden was on my sister who lived through Mother’s illness on a daily basis dealing with her frustrations, anger and expectations. I’m not sure I would have either of their fortitude and strength. However, I do want to ensure that fewer families have to face lung disease which robs a loved one of the most basic requirement of life – to simply breathe. While I could not help my mother overcome COPD, I launched the Kili Climb for Life initiative in her memory to build awareness and raise funds to promote lung health. As those who suffer from lung disease know all too well, sometimes it is too often a struggle to simply breathe. I ask you, please, to talk with your families to take preventative measures — STOP smoking, commit to regular exercise, eat healthier and eliminate harsh chemicals in your homes…..and, if able, please donate even a small amount in order to further lung research. You will breathe better for it.